All students and researchers in environmental and biological sciences require statistical methods at some stage of their work. Many have a preconception that statistics are difficult and unpleasant and find that the textbooks available are difficult to understand. 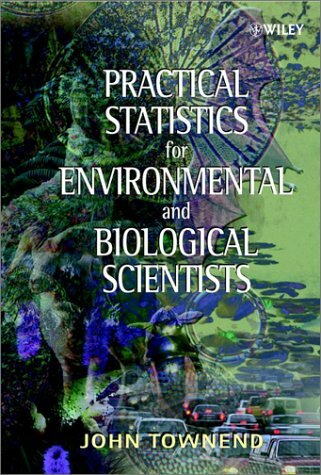 Practical Statistics for Environmental and Biological Scientists provides a concise, user-friendly, non-technical introduction to statistics. The book covers planning and designing an experiment, how to analyse and present data, and the limitations and assumptions of each statistical method. The text does not refer to a specific computer package but descriptions of how to carry out the tests and interpret the results are based on the approaches used by most of the commonly used packages, e.g. Excel, MINITAB and SPSS. Formulae are kept to a minimum and relevant examples are included throughout the text.